Thousands of container industry executives descended on Rotterdam this November for the annual Intermodal Europe show. Attended by container shipping lines, leasing companies, equipment manufacturers, technology suppliers and container service providers, this year’s edition was the busiest we have seen in the last three years, with a stronger focus than ever before on digital technologies both on the show floor and in the seminar sessions. 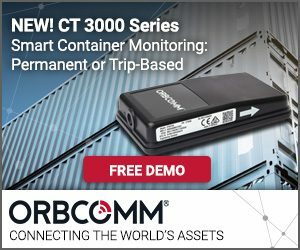 ORBCOMM used Intermodal Europe as the launchpad for the new CT 3000 Series, our latest generation of refrigerated container telematics devices, available for permanent or temporary ‘trip-based’ installation. 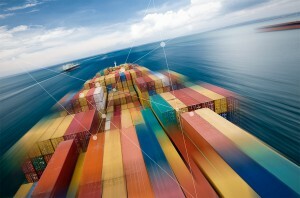 The new devices are smaller and quicker to install – around 10 minutes per unit – and the CT 3100 temporary device gives ocean carriers, inland barge operators, ports, depots, 3PLs and other members of the container transport chain the ability to monitor containers and shipments that they do not directly own or control. In fact, as we discussed with The Loadstar during Intermodal Europe the genesis of the CT 3100 design was a request from one of our shipping line clients that wanted a way to remotely monitor non-telematics-equipped third party reefer containers on-board its vessels, rather than having to send crew to perform hazardous manual checks. In today’s world of container shipping alliances and vessel sharing agreements (VSAs), having containers owned by multiple carriers on a single ship is an increasingly common phenomenon. And as industry players digitise at different paces, solutions such as trip-based monitoring are clearly needed to bridge the adoption gap. What’s also needed are open standards, interfaces and interoperability, agreed speakers in the Smart Shipping Forum that we joined during Intermodal. Just as we heard and discussed at the Cool Logistics conference in October, the conversation around digitalization in container shipping and the intermodal supply chains is moving from ‘if and why’ to ‘when and how’. IoT, blockchain, platforms, analytics and AI are the top technologies on the digital radar, along with automation and autonomous vehicles in cargo handling and transport. Accepting that “Industry 4.0” is now an unstoppable force, key issues for the maritime and intermodal industries include how to ensure that companies along the chain get appropriate benefits in exchange for sharing their valuable data and how to avoid simply creating a whole new generation of competing, siloed data platforms and ecosystems. This latter would limit user choice and flexibility, create barriers to investment, prevent true end-to-end supply chain data flow and hamper the ability to future-proof systems as technology continues to move fast. 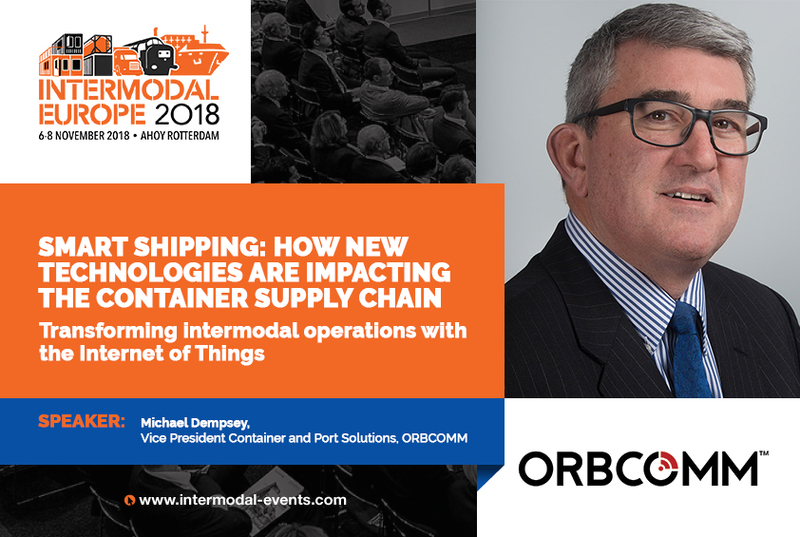 As discussed at Intermodal Europe, achieving the full value from IoT and other digital technologies therefore requires open platforms and compatibility with third party equipment and systems. Suppliers of technology can’t work in isolation and will need to integrate with other service providers to successfully meet customer and supply chain needs. This is absolutely what we are seeing at ORBCOMM as clients ask us to integrate and amass data from multiple sources, not least as the basis for more advanced descriptive, predictive and prescriptive analytics. Technology users are equally recognizing that they will play a crucial role in creating the industry’s new digital foundations. Hard on the heels of the Intermodal show came the announcement that five of the world’s largest container shipping lines – AP Moller-Maersk, CMA CGM, Hapag-Lloyd, Mediterranean Shipping Company (MSC) and Ocean Network Express – will collaborate on open industry standards to facilitate the take-up of digital technology across the maritime supply chain. This follows the news earlier this year that an open group of international container terminal operators will collaborate on standards to support automation and digitalization in port operations. The idea of the proposed non-profit association established by the five carriers — which aims to start up early next year, subject to regulatory approval — is not to endorse or launch any particular technological solutions but to provide standards that allow for easier information sharing through the supply chain, reported the UK Financial Times. As reported in The Loadstar, Adam Banks, Maersk’s Chief Technology Officer, added that “a joint set of technical standards will ensure interoperability and enable all parties to concentrate on value adding differentiation … [benefiting] all parties in our customers’ supply chains”. 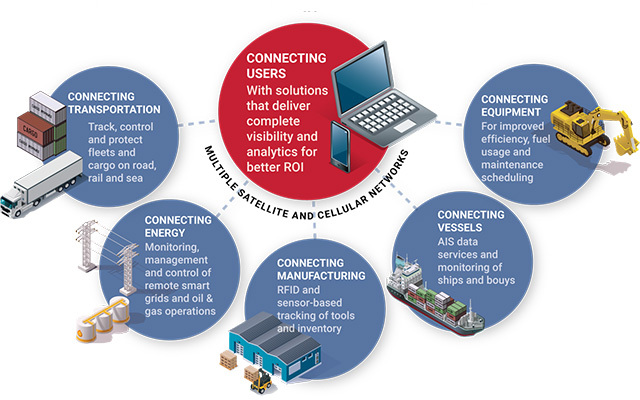 Interoperability and ‘agnostic’ data solutions are at the core of ORBCOMM’s philosophy and we welcome and endorse these initiatives to foster more effective implementation of digital connectivity across the maritime supply chain. It’s hard to contemplate a time when the UK freight industry faces more or deeper challenges. 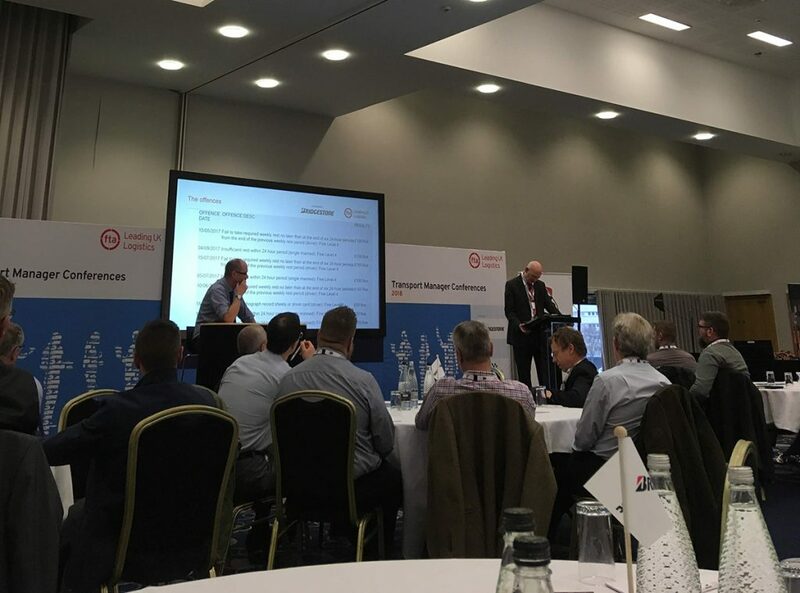 That was the key message at the UK’s Freight Transport Association’s final Transport Manager Conference for 2018. For example, the FTA is facing Brexit head-on in the UK. According to Director of Policy at the FTA, Elizabeth De Jong, the organisation is preparing for all eventualities in the lead-up to the March deadline. Although there is still uncertainty around Brexit and exactly what to expect, the FTA is doing everything it can to be ready for it. The ORBCOMM team joined hundreds of industry professionals on November 28 to hear more on Brexit and the most pressing matters facing transportation in the coming months. With representatives from customers like Greggs, AF Blakemore & Son Ltd, James Hall and Co. Ltd and Faccenda Foods, it was a packed house in Birmingham in the UK. The day featured topics that ran the gamut of transportation concerns from Brexit to urban deliveries and Clean Air Zones (CAZs). One of the biggest topics on the agenda was the DVSA’s Earned Recognition scheme. The scheme is defined as a new standard for UK operators for fleets to minimise roadside inspections. Keith Gray, General Manager – Training, Audits and Standards, FTA – said the programme is already underway with approximately 80 operators. It monitors and rewards operators that proactively check maintenance and drivers’ hours and submit the data to the DVSA. Gray outlined the benefits and challenges and urged operators to sign-up. In speaking to members on the pilot scheme, he discovered some worried that there weren’t enough benefits. However, he was quick to reassure of the benefits of membership to the scheme including an increased reputation for safety and reliability. The FTA says that the programme offers inherit and explicit benefits. The main ones include a reduction in roadside inspections and site visits from DVSA. Fleets can also use the DVSA marque when bidding for contracts and industry recognition. The DVSA also offers a dedicated earned-recognition team to participants. To participate in Earned Recognition, fleets need to include digital monitoring for vehicle monitoring and drivers’ hours. To sign up to the scheme, visit the DfT website here. What Next, with Brexit Looming? Brexit is obviously, a cause for concern across every industry. For transportation and those involved in it, this is no different. Director of Policy at the FTA, Elizabeth de Jong, opened her discussion on the impact of Brexit, by confirming what we already know: it is difficult to plan around something we don’t have any concrete facts about. What is clear though, is that the FTA is pushing forward with its plans to protect UK businesses as much as possible. The FTA will continue to prepare and be ready as soon as any solid decision is made. In the meantime, it will continue publishing Brexit notes and getting the industry as prepared as possible for all Brexit-related eventualities. The FTA will continue to update the logistics industry with its next meeting in London on December 15 Getting Logistics Ready for Brexit. 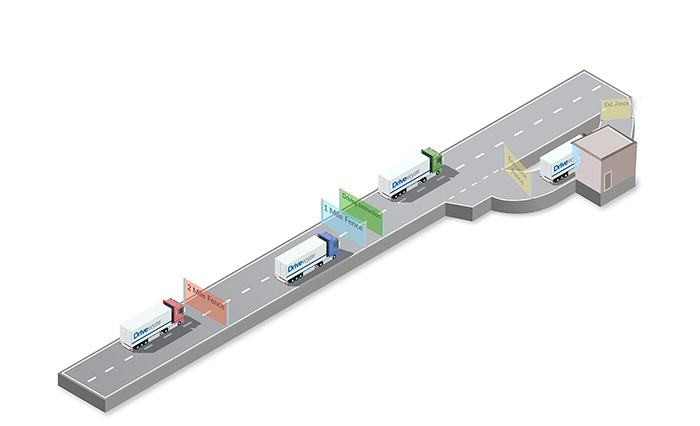 “Smart Tachographs”, the next-generation of tachographs, are on the way in the UK. They will make use of satellite positioning, short range communications and integration with telematics through an Intelligent Transport System interface. GNSS will allow recording of the vehicle location at the start and end of a journey, while short range radio will mean enforcement personnel can check a signal from the roadside while the vehicle is moving. These are being introduced in a bid to avoid manipulation of tachograph data. This change into effect on June 15, 2019. We heard at the FTA Conference that Brexit won’t make any difference to the rules around Smart Tachographs; they’ll be arriving regardless of how Brexit pans out, so operators need to be ready. There is no retrofit required to existing vehicles, but all new registered vehicles will need to include them. An important point to stress is that drivers won’t see any difference. The menu interface, card handling, and card login will be similar. The important part for fleets is that they must tell drivers if a smart tachograph is in use as drivers need to give consent for GDPR reasons. However, there is no driver data submitted through smart tachographs. Other topics covered on the day included other major issues facing transportation organisations today like tyre safety, urban restrictions, emissions, managing maintenance providers. There was even a mock trial at a public inquiry conducted by Nick Denton, Traffic Commissioner for the West Midlands. Featuring a driver who went above his hours, it examined his reason and handed over judgement, in the same way a real trial would occur. We would certainly recommend a visit to the next FTA Transport Conference and we look forward to the next one for a deep-dive into the major issues the industry is facing. 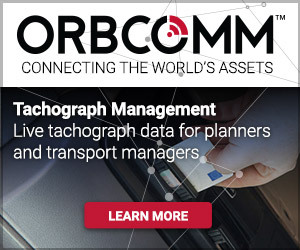 Read more about ORBCOMM’s Tachograph Management Solution here. The world of the Internet of Things (IoT) knows no bounds. In fact, according to McKinsey, by 2025, IoT will have a potential total economic impact of as much as $11.1 trillion per year globally! We’ve seen consumer IoT technology get a lot of press, but in reality, more than two thirds of the business value of IoT will be in B2B applications. IoT will be the biggest source of value of all disruptive technologies, ahead of mobile internet, knowledge-work automation, cloud computing, and advanced robotics. The transportation market is incredibly diverse across the globe. Each market has specific requirements of how they need to track, control, and protect fleets whether across the road, over the rails, or on the sea. As the way we produce and consume energy continues to evolve, the need for smart solutions for the energy industry that remotely monitor, manage, and control this critical infrastructure continues to increase. With machines that can cost over $1M, leasing and construction companies need effectively manage heavy equipment to increase efficiency, lower operational costs and increase equipment life. Combining the need for safety in the open ocean and for government regulation of the fishing industry, there is increasing demand for custom solutions for the maritime market. There is significant growth in smart agriculture where farmers and agribusiness seek to maximize their productivity, increase sustainability, all while controlling costs. To take advantage of this huge opportunity presented by the industrial IoT, it is critical to have the right technology partner. Technology is great, but sometimes you just need to speak to someone to find out where your order is, answer a specific technical question, help debug an app, or just bounce ideas around. 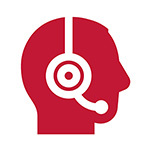 A comprehensive customer care infrastructure is critical. This should include a support portal that gives you access to administrative information, training, documentation and software and utilities for testing and troubleshooting your application. Multi-tiered support services should be part of the mix with tier 1 support providing a reliable first point of contact. Tier 1 should include support for orders and billing, provisioning and commissioning, and basic trouble shooting. Tier 2 should provide more detailed technical services like terminal and application software support and backend development support. For complex technical challenges, a tier 3 team should be available to put you in touch with corporate engineering and development resources to resolve difficult problems. 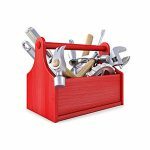 Partners should have an easy to order IoT development kit that includes all the hardware and software you need to develop a solution. The kit should include things like a development terminal, an I/O development board, software tools, airtime and a quick start guide. A good development kit really speeds up your onboarding and quickly gets you productive. Programming IoT devices and terminals can be complex and time consuming. Look for partners that provide modifiable canned apps, that you can use to bring your hardware from programmable to configurable. These apps are really the building blocks of your industrial IoT solution and should include things like a fleet management app, an interface to SCADA equipment app, and apps that help you integrate with prevalent third parties like Garmin. Professional Services are critical to the success of any partnership. Partners should be able to assist with things like documenting customer requirements, to doing high-level design right and coding the complete application. This gives solution providers the flexibility to increase speed to market or easily augment internal skill sets. Hardware provides one of the foundations for any industrial IoT solution. A good partner should have a family of programmable IoT devices, terminals and modems that include options like battery backup and solar power. 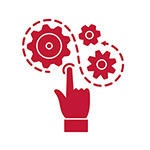 This level of choice gives solution provides the flexibility to meet different customer needs. Every solution needs to have IoT connectivity between an asset and the backend software. Partners should be able to provide flexible connectivity choices including satellite and cellular. Connectivity should be available in all geographic regions that the solution provider plans to do business. Did we miss any? Let us know in the comments below. Looking for the perfect industrial IoT partner? 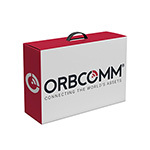 Contact us online, email sales@orbcomm.com of chat with us live. Anyone who spends time in the oilfield will see that with the upswing in business comes an increase in fatalities. It looks like this year is on track to set new records in oilfield driving fatalities. Unfortunately, the statistics don’t lie. Over the past year, oil and gas fleets have seen a dramatic increase in oilfield fatalities. If we focus on one particular area as an example, in the 22 Permian Area Counties (including two in New Mexico), there were 154 driving related deaths in 2017. In 2018 for the same region, the figure is already at 225. That’s a 46% increase at a time when the industry should be actively working to bring this number down. While oil and gas employees would agree that oilfield driving comes with some risks, reports show that 90% of these crashes can be attributed to driver behavior. The time has come to ask the question: Is it time to stop simply checking the box? According to OSHA, the Occupational Safety and Health Organization, 823 oil and gas extraction workers were killed on the job between 2003 and 2010. The fatality rate is seven times greater than the average rate for all US industries. Vehicle crashes are the leading cause of death in the oil and gas industry with four of every 10 workers killed in a highway vehicle accident, according to OSHA. The problem has escalated in recent times as fleets look to “tick” the compliance box for ELDs, without looking beyond that. As the focus narrows on the administration of compliance, are we forgetting about the practical safety issues day-to-day. Fatigue is an ongoing challenge within the oil and gas fleet safety industry and it’s never been more important as the driver shortage continues. Oil and gas driving is known for its risks and challenges. Drivers may think they can go without the required rest and just plow ahead. This is where driver training is key. Regular driver training, coaching and mentoring reinforces best practices for oilfield driving and continues to perpetuate a culture of safety in the minds of drivers. The National Institute for Safety and Health (NIOSH) has also published its guidelines for oil and gas employers on preventing fatigued driving at work. How Can we Address the Oil & Gas Fleet Safety Problem? Fleets can work on these issues by addressing more than simply ticking the compliance box. A strong fleet safety program benefits fleets of all sizes, particularly in oil and gas. A written plan can help guide drivers to the best safe practices for their roles. Fostering a culture of safety can help organizations become proactive in their approach instead of waiting for disaster to strike. Fleets can also leverage technology to offer in-vehicle training for drivers to ensure they are implementing best practices when operating a vehicle. Complete Energy Services, an ORBCOMM customer, worked hard to increase its safety practices through training. 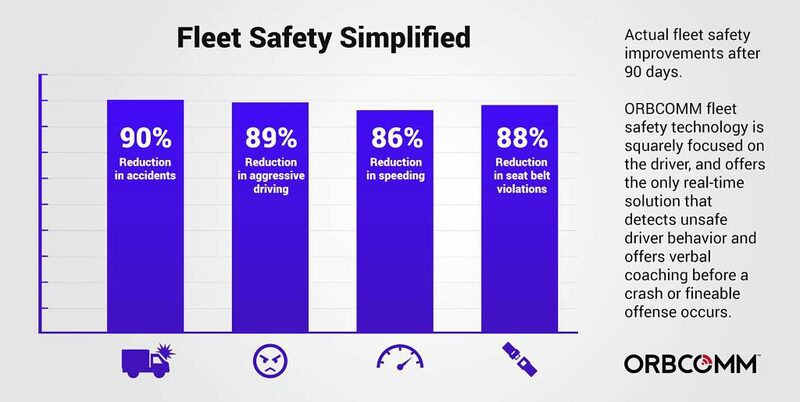 They have significantly increased their safety by reducing speeding events by 49% and increasing seat belt compliance by 59%. 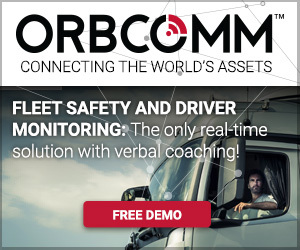 By delivering real-time verbal alerts, ORBCOMM’s oil and gas fleet safety solution helps drivers be proactive with their safety in the field, without any infraction. They can learn best practices for oilfield driving to help them become safer and better drivers. 86% reduction in speeding and increased safety rates across the entire fleet. 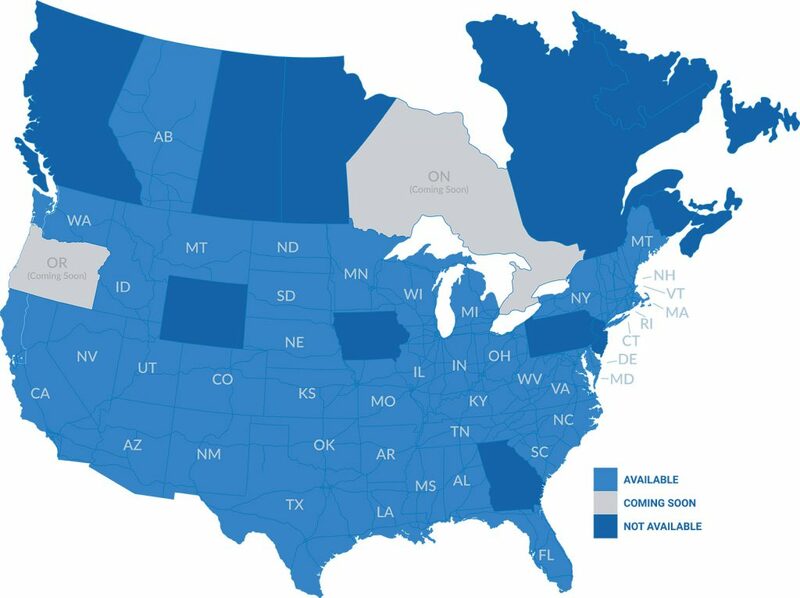 For more on oil and gas fleet safety, schedule a demo or chat with us online anytime. The 10th Cool Logistics Global congress took place in early October and, as usual, ORBCOMM joined as sponsor and speaker. Refrigerated container and trailer operations are key markets for our Internet of Things (IoT) tracking and monitoring solutions along with end-to-end cold chain traceability solutions for major food suppliers and retailers. So, Cool Logistics provided a great chance to share our experiences and take the industry pulse. While Maersk is the only global reefer box carrier so far to fully embrace IoT telematics, the consensus is that adoption will speed up in the coming 3-5 years. “It needs to be part of the future that all reefer boxes are connected,” said Ole Schack-Petersen of cold chain logistics specialists LCL and the Broom Group. The practicalities of large-scale IoT adoption should not be underestimated, however. 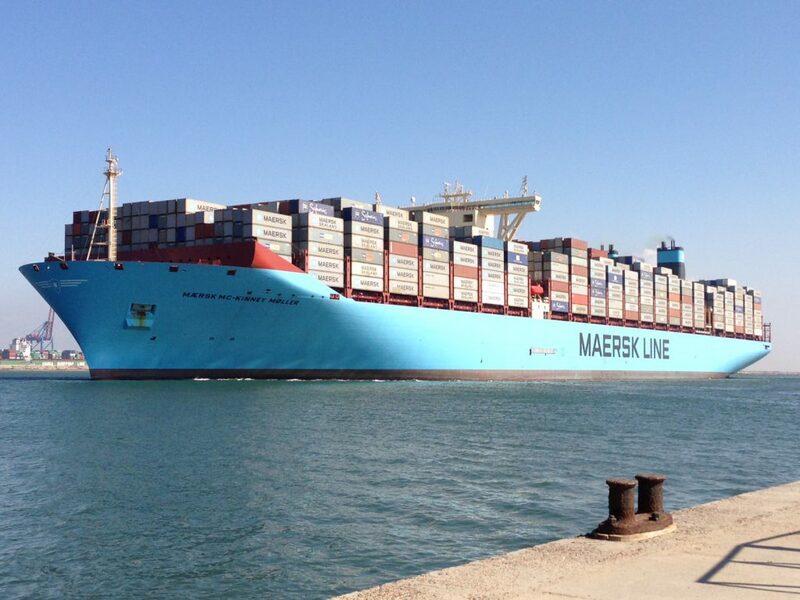 Maersk said that it took five years to fit its entire reefer box fleet with telematics. Developing robust solutions that help users implement and scale at speed is therefore a crucial capability for IoT vendors. Shipping companies outside the top 10 can get up and running faster and smaller carriers have successfully deployed IoT telematics across their reefer box fleets and other intermodal transport assets. 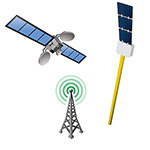 That includes vessel-based GSM networks for on-water monitoring of containers and cargo. A new trend to help the global reefer container fleet get smart is the supply of embedded IoT right out of the factory. Reefer OEMs are now starting to work with telematics suppliers and leasing companies are also enhancing their offering with telemetry. The development of ‘plug and play’ reusable IoT telematics devices for temporary asset monitoring will be important, giving all parties the chance to monitor shipment on a trip basis, at terminals, depots and yards, and on vessels. 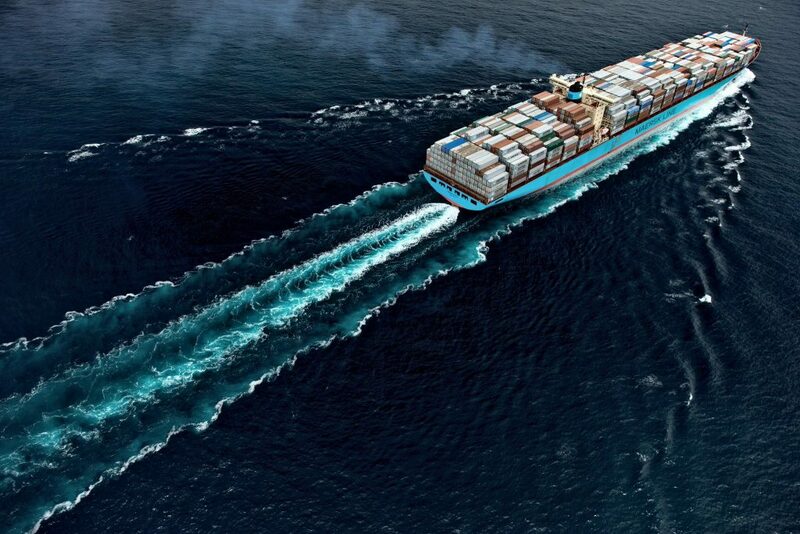 While Maersk is the only global reefer box carrier so far to fully embrace IoT telematics, the consensus is that adoption will speed up in the coming 3-5 years. There’s a global buzz around blockchain and the cold chain is no exception. Indeed, food and health supply chains have been early targets, especially to address contamination and counterfeits. Recent examples include Walmart’s blockchain database for leafy green vegetables in the wake of an e.coli outbreak involving romaine lettuce. China’s giant online retailers JD.com and Alibaba have also launched food and drug safety blockchain programmes for cross-border trade. The data that feeds the blockchain needs to be trustworthy, however. That’s where IoT telematics and sensors come in, providing a verifiable digital record of assets, cargo, processes and hand-offs. It’s still early days but more blockchain-based platforms are expected to emerge in cold chain over the next 3-5 years, consuming more IoT data. The best and most cost-effective ways to filter and present IoT data to a growing number of engaged stakeholders both within and across companies. Helping users build out secure, stable, scalable and smart IoT ecosystems. From the C-suite down, more departments are consuming IoT data, but they do not want or need to see everything. Intuitive, customisable dashboards and reports are critical for different people to see just the data and metrics that matter most to them. No single digital platform can ever dominate. Rather, the future lies in a ‘system of systems.’ APIs and interoperability are crucial to avoid creating new data silos. The IoT data ecosystem needs to allow users to integrate multiple smart devices and suppliers, plus other information sources. Ever more smart devices are entering the cold chain, and more of them are talking to each other – including cargo level sensors and container telematics. Leveraging this to transform business processes and create new commercial propositions is the next big step. 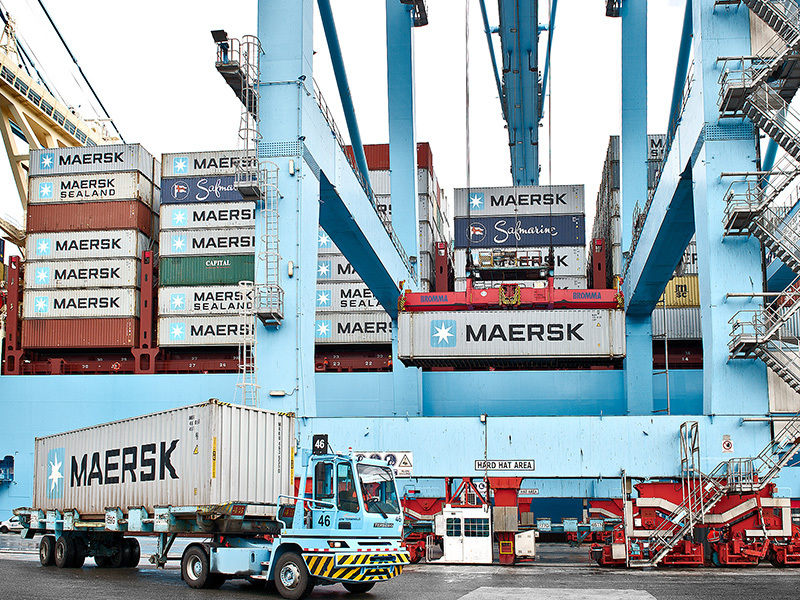 As data is amassed and shared more widely – such as Maersk and other carriers have done for their customers – it opens the door for more proactive asset and supply chain management. That includes analytics to predict future patterns and make rules-based decisions. It takes a large historical database to extract full value from predictive and prescriptive analytics, but this is coming as more cold chain and transport assets get connected and more data is aggregated on integrated IoT platforms. Data makes mistakes visible and all parties accountable. That can be a culture shock both inside enterprises and across supply chain communities. Proactively managing this as a strategic business priority, not just another IT project, is vital. Deep change management is needed to reinvent business processes and relationships, retrain existing staff and on-board digitally-savvy talent. This is a big but necessary challenge to avoid being left behind as the pace of technological change continues to escalate. Data governance and cyber security are two of the biggest challenges. This will require cooperation between public and private sectors at many levels. Various bodies are now working to develop protocols, frameworks and tool-kits and industry must get deeply involved to ensure workable legislation and policy. Join us on stand B26 at Intermodal Europe in Rotterdam, November 6-8, to see the latest in IoT telematics, software and analytics including our new solutions for temporary or permanent monitoring of refrigerated containers. Schedule a Meeting. We’re at the ATA Management Conference & Exhibition this week, where we’re exhibiting the latest additions to our market-leading portfolio of telematics solutions, devices and integrations for our transportation customers. 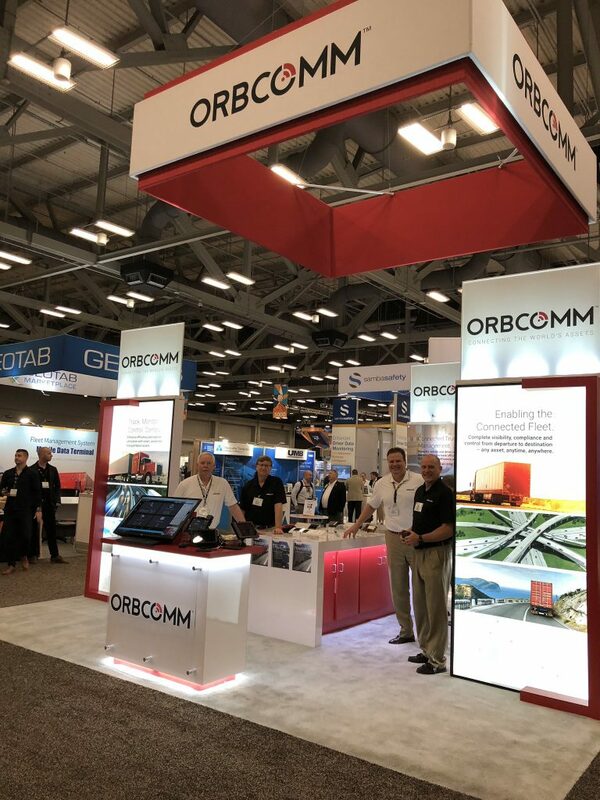 In addition to some exciting new announcements, you’ll learn why ORBCOMM is the only telematics provider capable of meeting the demands of transportation companies looking to manage your entire fleet under a single platform. From truck to reefer to dry vans, straight trucks, containers and railcars, we cover virtually every asset class under one roof. For those we won’t see at the ATA show, feel free to contact us anytime to discuss connected assets and fleet telematics. 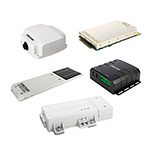 IoT and M2M Solutions Webinar Coming Oct. 23! Gartner forecasts that there will more than 20 billion connected assets by 2020. But how do you take the promise of the Internet of Things and translate it into effective solutions that deliver more value for your customers—all while saving you time and increasing revenue? 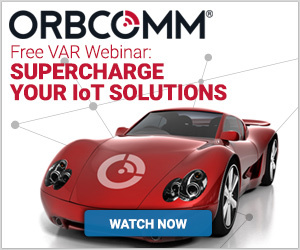 Existing ORBCOMM VARs: discover time-saving tools you never knew existed! This webinar is a must attend for value-added resellers, distributors, solution providers, system integrators and anyone involved in the development of IoT, M2M and satellite-based solutions. 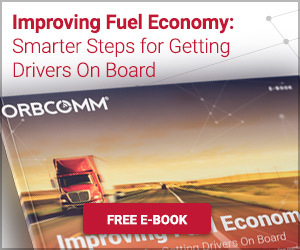 Whether you’re an established ORBCOMM VAR looking to get to the next level or are looking for a leading partner to help bolster your solutions, you’re sure to walk away with some practical tips and fresh ideas. 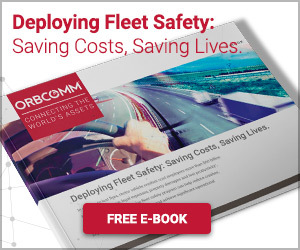 In our latest case study, we explore how ORBCOMM’s integrated fleet management solution helped a refrigerated transportation company minimize spoilage, improve fuel economy, optimize asset utilization and comply with food handling and driver hours-of-service regulations. Mike Tamana Trucking uses ORBCOMM’s end-to-end telematics solution via its integration into the McLeod dispatch software. The company’s dispatchers are able to access critical data from its trucks, drivers and trailers from within the McLeod dispatch interface, simplifying operations and improving efficiency and profitability. Learn how the carrier also improved customer service with accurate ETAs and early notifications that allow customers to plan for delays. To learn how ORBCOMM and McLeod can help you optimize fleet operations, visit www.orbcomm.com/mcleod or email us at sales@orbcomm.com.